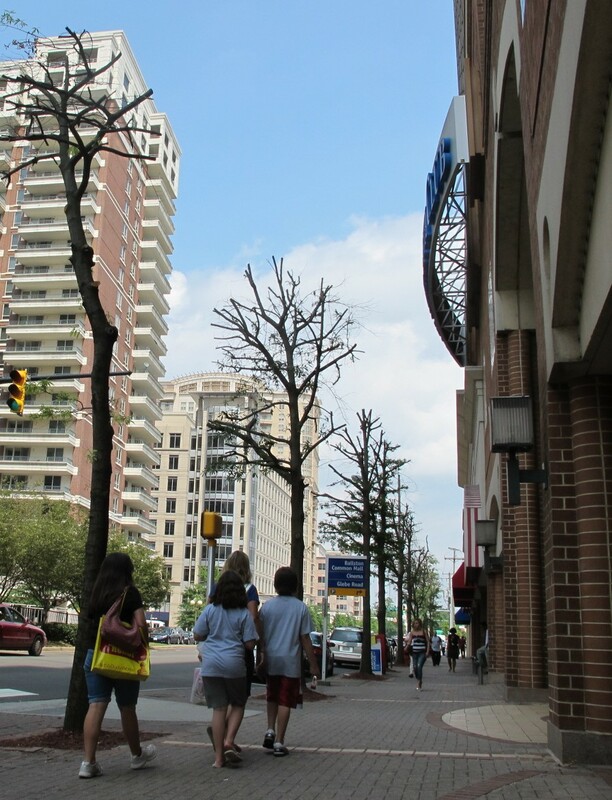 TreeSteward Clare Hayden was walking into Ballston Mall of Arlington when she noticed workers inappropriately pruning the trees along the sidewalk. TreeStewards receive 3 hours classroom training on best practice standards in pruning and 4 hours hands on work under the direction of a certified arborist. She knew these workers were not following the guideline to gently remove only those limbs absolutely necessary and to never remove more than 1/3 of a tree’s canopy. She talked to the crew, explaining how they were harming the trees—but they continued. Clare notified TreeSteward leadership, who informed the Urban Forestry Commission and Arlington County’s Landscape Supervisor. What happened to these trees was wrong. The mall is responsible for ensuring the proper care of the trees. Street trees are often required to be planted and maintained by the local business as part of the original development agreement, so the County still maintains control. They County has required the mall to keep the trees watered and try to nurse the ones worth saving back to health. The mall has also hired an arborist toassess the health of each tree to determine whether they will survive, or any further steps to help with their recovery. County staff will review the report and follow up with replacement requirements. Many of the trees were so badly trimmed that they will need to be replaced. One positive result is that Arlington County is revising its standards to require any pruning of trees under county control to have an ISA Certified Arborist on site while the pruning is being performed. We hope that this will help to avoid anything similar from happening in the future. If you see a street tree that requires better care, please let us know at info@treestewards.org and we’ll contact the appropriate people for Arlington or Alexandria. As we learned in this situation, some good can come out of even the worst situations. 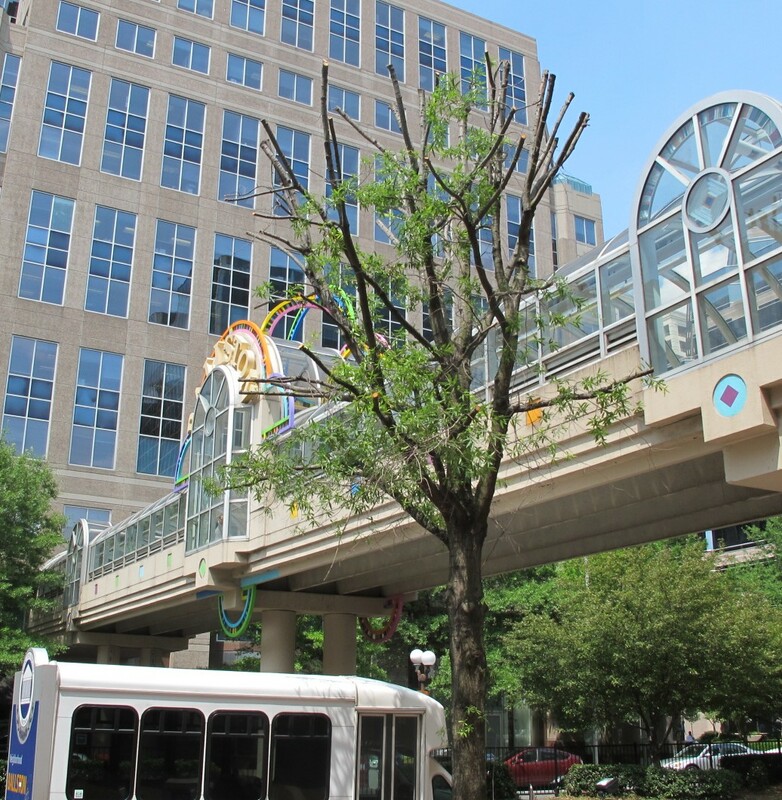 This entry was posted in Advocacy and tagged Ballston, pruning. Bookmark the permalink.